Keep your kitty healthy with the Kong Scratch Apple Cat Toy! 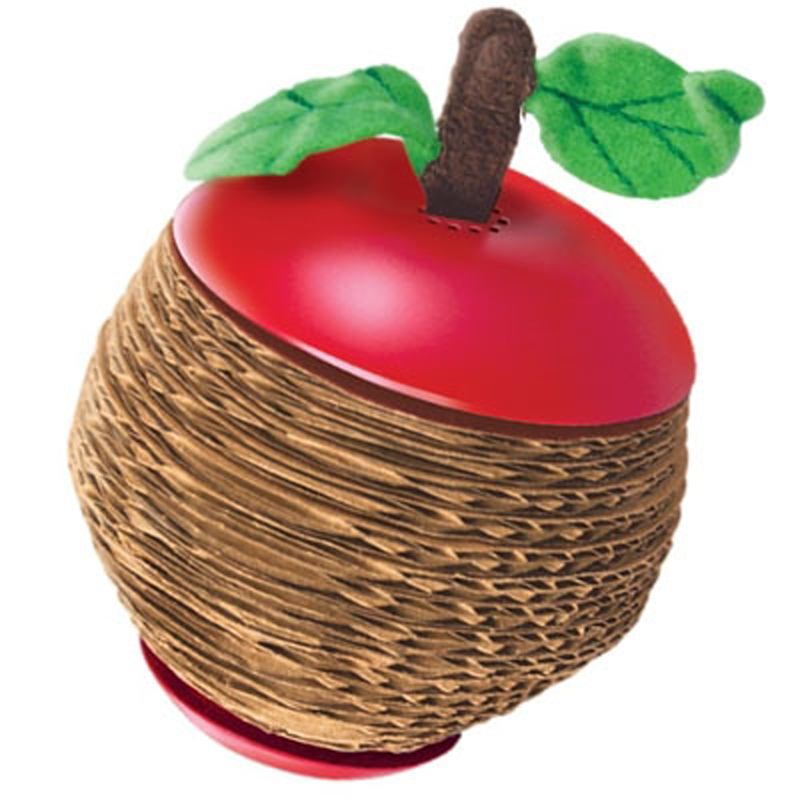 KONG’s Scratch Apple Cat Toy combines the fun and action of a catnip toy with the irresistible feel of corrugate scratchers cats love. The Scratch Apple features a twist-off top with hollow core for easy catnip filling. Simply twist off top to fill toy with fresh catnip. Vial of KONG Premium North American catnip included. My new Sratch Apple Cat Toy! Hi all my kitty friends! It's me here, Mr. Mittens! My humans got me this really neat toy, and they put some of Baxterboo's "Kong Premium Catnip" inside of it..... boy is it FUN! ITS MY NEW FAVORITE TOY!!! Thanks so much BaxterBoo!